I just had a very good laugh. While working on the Lumenatic website and implementing some changes in the German version I accidentally clicked the “like” button of a page. 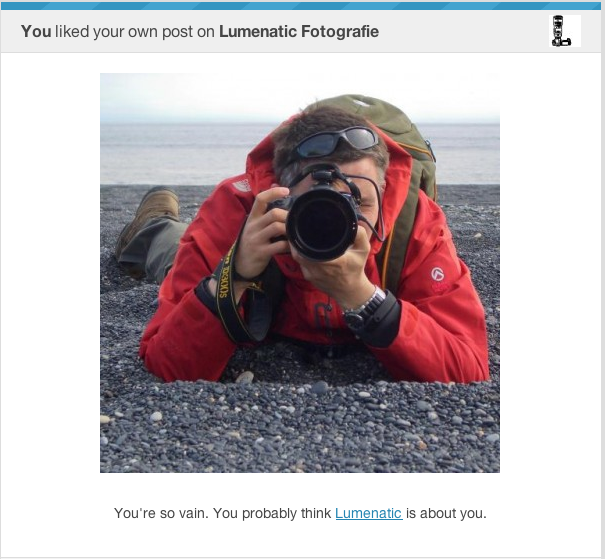 WordPress recognized that I just liked my own page and send me a message via email, see above screenshot.